The big news of this morning was the prank call by Ian Murphy of Buffalo Beast (which is still down as of this writing) to Wisconsin Governor Scott Walker in which Murphy got Walker to believe he was actually David Koch. 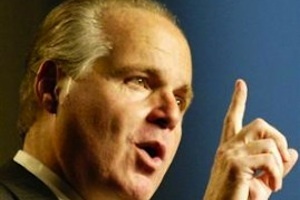 While protest sympathizers will eagerly be combing the 20 minutes of conversation looking for anything embarrassing or incriminating, Rush Limbaugh quickly demonstrated what will doubtlessly be the strategy of the opposing side: arguing that there really isn’t any there there. Part of the reason all of Walker’s defenders will be using this strategy is because, well, he’s pretty much right. Whatever you have to say about the tone of the call or the familiarity with Koch, the protesters will be hard pressed to find any juicy sound bites to hurt him with. Even his agreement to visit “Koch” could be brushed past as being polite to a powerful supporter.